You will earn 310 Reward Points. Earn 1 reward point for every 1 dollar spent. Wells heavy-duty, top-mount, drop-in, round food warmers are designed to hold heated foods at safe and fresh serving temperatures. 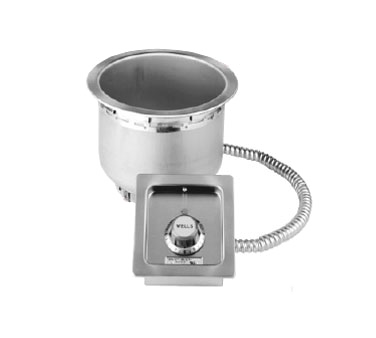 Wells SS8 Series accommodates standard 7-quart round inset pans, and are designed for wet or dry operation.